The Freshmen. Original 画像 belong to Universal Pictures, アイコン によって DarkSarcasm.. Images in the Dazed and Confused club tagged: dazed and confused image icon freshmen mitch carl tommy wiley wiggins esteban powell mark vandermeulen. 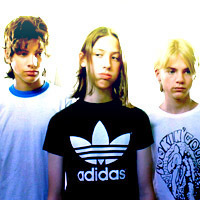 This Dazed and Confused icon contains ジャージ, tシャツ, ジャージー, and t シャツ. There might also be レジャーウェア, レジャー ウエア, 長袖, 長い袖, shirtsleeve, シャツスリーブ, and 袖など.